The Museum of Chinese in America (MOCA) will launch a documentary photo exhibition on Oct. 18, featuring daily life in New York City's Chinatown and how the Chinatown has evolved since 1980s. Titled "Interior Lives: Photographs of Chinese Americans in the 1980s," it is the largest exhibition of acclaimed U.S. photographer Bud Glick's work documenting New York City's Chinatown in the 1980s, according to MOCA. For three years beginning in 1981, Bud Glick was commissioned by MOCA to photograph the street life, people, and domestic scenes of Chinatown. He earned trusts from Chinatown residents and gained access to interior lives during a pivotal time when new waves of Chinese immigrants began to converge into Chinatown, altering the demographic landscape of what was then home to earlier migrations. Calling the documentary a memorable journey to connect intimately with people in Chinatown, the seasoned photographer said he saw the exhibition as a continuation of that journey where he expected more and more people would connect to the stories told in the photos. The exhibition is scheduled to be held from Oct. 18, 2018 to March 24, 2019. It will weave multimedia into its presentation to connect past and present using audio oral histories that organizers have recently recorded with individuals who were the subjects of those photos. Organizers hope the exhibition could help re-ignite conversations about how the experiences of Chinese communities in New York can contribute to the broader discussion on community, space and perseverance. 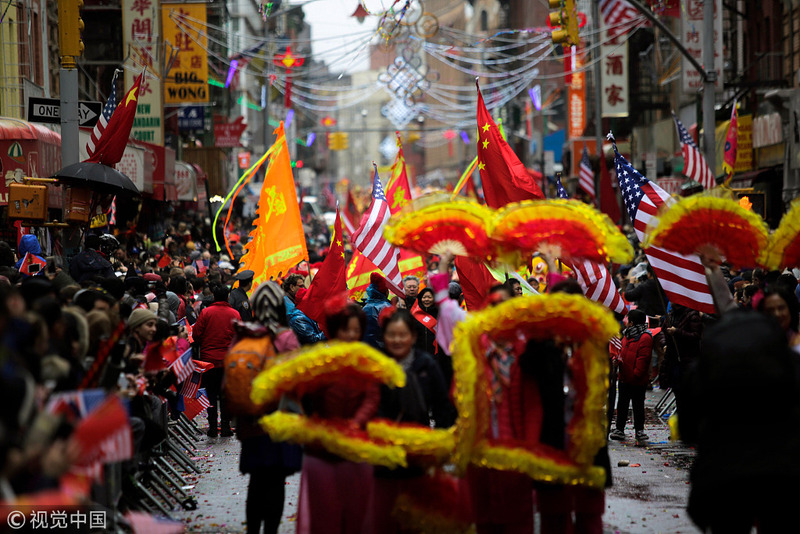 The New York metropolitan area is home to the largest Chinese population outside Asia. The number of Chinese Americans here was estimated at 812,410 in 2015.